Please click here to report broken links or other site problems! Thanks! 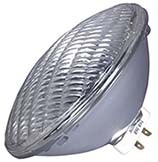 Lamps for the most popular theatrical, studio, DJ, and special event lighting fixtures are found on this page. But it's merely the abridged version of what's available on the market. The small graphics on this page are intended only to suggest "family resemblance" among lamps. If you don't find the lamp you're looking for, please give us a call! Used in ETC Source 4 ellipsoidals, pars, and "Parnel"
LOW voltage MR-16 lamps for striplights, follow spots, etc. 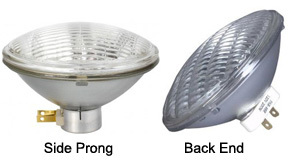 HX series Medium 2 Pin lamps give higher light output per watt!